Last Thursday, October 26th, 2017, saw the latest in a line of successful Mix With The Pros events at Jigsaw24 in London's Soho Square. This event was firmly aimed at the those wanting to find out more about working with the new Dolby Atmos immersive sound format. First up was Simon Sherbourne from Avid, talking about the latest Pro Tools updates and how some of the new features in Pro Tools 12.8 like the addition of 7.1.2 multi-channel tracks and busses have made working in Atmos much easier. Simon demonstrated using the Dolby Atmos Production suite running on his Mac Book Pro proving that you don't need vast amounts of power to work with object-based audio. Simon's demonstration concluded with a show and tell of how the Atmos panner can be controlled using the Avid S6 control surface. James Shannon started his presentation by talking about the number of feature-length productions that are being mixed for the Atmos immersive environment. He then went on to talk about the requirements for creating Dolby Atmos content for both Theatrical (movie) and what is becoming the new Domestic (home) standard. He talked about the equipment that is needed like the powerful Dolby RMU required to run the Atmos Mastering Suite applications and the pros and cons of some of the investment needed to become a full Dolby certified Atmos facility. Next up was Ben Todd from Sound Technology who talked about some of the new JBL range of speakers and the new JBL Intonato multi-channel speaker management system and how the Intonato offers a very competitively priced way into controlling your Atmos ready speaker array. 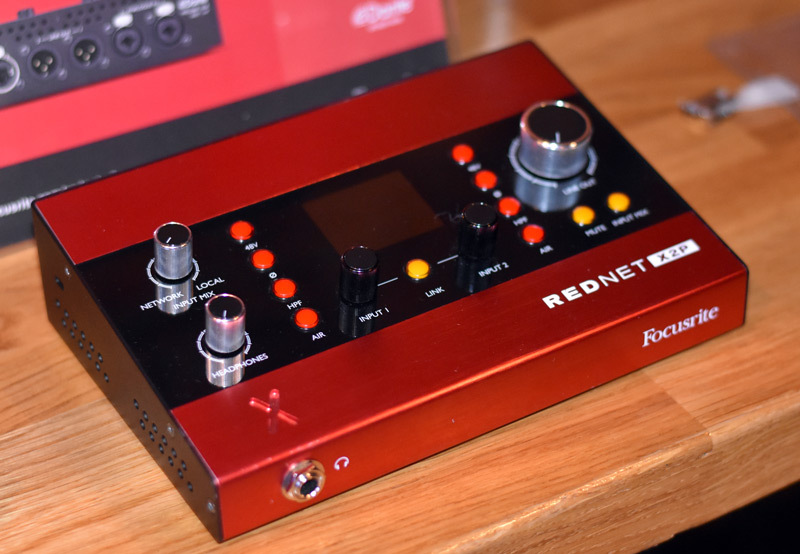 Last up was Focusrite Pro's Simon Short talking about the new Rednet X2P and Red 16Line interfaces and about how the Dante audio over IP standard is being adopted by more and more facilities who are creating surround and immersive mixes. As always the Jigsaw24 Mix With The Pros events are great opportunities to learn, chat and socialise with friends in the industry in a great environment with a beer in hand. I would like to thank Joffrey and the team at Jigsaw24 for a fantastic event and we look forward to another Mix With The Pros very soon.